Summary The position provides for the day-to-day administrative support to the Office of the Bishop by providing clerical and administrative services, managing correspondence, calendars, and personal needs for the Bishop of the Diocese in furtherance of his ministry as Shepherd to the Catholic faithful of the Diocese of Springfield in Illinois. Essential Functions Create and maintain an efficient organization in the Bishop’s Office Maintain the Bishop’s calendar and schedule. Arrange meetings and conference calls upon request. Prepare agendas and collect materials for meetings, speeches, and conferences. Manage the priorities for the Bishop in regard to appointments and events and issue reminders, etc. 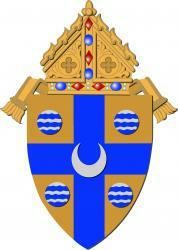 Collect and organize the Bishop’s day-to-day information for appointments and events. Greet callers and visitors with the professional respect and courtesy expected from the Office of the Bishop. Receive and screen incoming phone calls to the Bishops office and screen unexpected visitors requesting to meet with the Bishop. Make travel arrangements for the Bishop’s domestic and international travel to include flights and lodging accommodations and any other specific travel arrangements. Open mail received addressed to the Bishop and sort by importance for review by the Bishop. Respond to inquiries received by phone, email, and in-person. Answer questions and issues independently whenever possible, take messages, and draft routine correspondence for Bishop’s signature. Work collaboratively with clergy and religious and other employees throughout the diocese. File correspondence and other documents and maintain the personal files of the Bishop. Gather statistics and information for confirmations scheduled in the diocese. Provide information regarding papal blessings and request papal audience tickets as directed by the Bishop. Type communications for the Bishop, (i.e., Bishop’s schedule for Catholic Times, Official Appointments, Decrees, and RCIA Decrees, Confirmation Letters and other documents and letters, etc. as directed). Communicate to the Bishop in a timely manner the receipt of confidential information and priority messages. Place phone calls as requested by the Bishop. Request payment for budget expenditures in the Office of the Bishop, record and file all invoices, credit card receipts, credit card statements, and other expenses for budget purposes. Order magazine and newspaper subscriptions. File documents as requested in the priest and seminarian files. Set up files for new priests. Schedule individual appointments with the Bishop for priests and deans. Publish Special Collection letters from the Office of the Bishop for distribution to the parishes and publish the letters in the Parish Link and the Catholic Times. Prepare and mail birthday cards to priests from the Bishop. Schedule board meetings. Prepare Sanations for the Office of the Tribunal. Send email messages to priests from the Bishop upon request. Complete the annual mailing of the Bishops annual Christmas card or letter to the Bishop’s Gift Society. Maintain a record of Confirmation statistics for each confirmation conducted in the diocese. Organize catering for meeting and events and oversee the catering and serve at the events. Qualifications and Skills Must be a practicing Catholic in full communion with the teachings of the Catholic Church. Excellent proofreader and excellent ability to apply the rules of English grammar to written communications. Possess excellent, organizational, and planning skills. Excellent, written, and verbal communication skills. Proficient in the use of Microsoft Office, and Outlook and ability to use copier/printer and postage meter. Excellent interpersonal skills and ability to work with people at all levels. Able to maintain a high degree of confidentiality. Ability to work independently, and accomplish goals with minimum supervision. Excellent customer service skills. Willingness to adapt to change is essential. Ability to interpret data to provide suggestions and recommendations for improvements to the processes of the job. 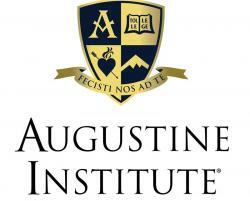 Demonstrates a professional demeanor at all times representing the diocese well by communicating professionally and promptly with all levels of personnel within the diocese and the public to provide assistance, and answer questions and concerns. Desire to learn and undertake new and unfamiliar job responsibilities. Willingness to work collaboratively in a team oriented environment. Education/Experience: Bachelor Degree 3-5 years of secretarial experience Supervisory Responsibilities: The position does not have subordinates. Physical Demands The physical demands of the position are those typically associated with work conducted in an office environment. The position requires the person be able to lift up to 30 pounds, ability to be stationary at a desk for long periods of time, listen to audio recordings and transcribe, view computer screen, type using a keyboard, operate a computer printer operate a telephone to place and receive calls and voice mail messages. Work Environment: The Diocesan Pastoral Center operates in a smoke-free environment. The employee must be willing to abide by this policy. The general environment for this position is that commonly associated with an open office setting. The main purpose of this position is to provide clerical support to the principal and be the receptionist for the parish school. This position involves a variety of standardized and routine administrative tasks such as typing, receptionist functions, data entry, and updating record-keeping systems within well-defined office procedures with limited supervision. Major Duties and Responsibilities Answers and screens all incoming calls (parents, potential new families, vendors, etc.). Placing telephone calls of a general nature to parents as needed. Maintain student records and files both hard copy and digitally as directed. Maintains student attendance records. Prioritizes/triages questions or issues to determine the necessity of intervention by the principal. Handles opening and closing of academic year functions. Open, sort and distribute mail. Interacts daily with students, staff, parents, volunteers and general public in a professional, confidential and diplomatic manner. Ensures coverage for faculty; arranges for and handles substitute services as needed. Assists substitutes when they report to the office for their assignment. Assists in the maintenance of all faculty absences and substitute payroll information as directed. Provides information concerning parish and school policies, procedures, actions and activities; assists with scheduling and maintenance of events in the parish and school activity calendars. Monitor the health room and aid students in health matters. Essential Requirements Ability to work confidentially with discretion. Handle confidential information regarding families and colleagues at the parish and school. Complete work independently in a timely manner with numerous interruptions. Must possess excellent written and verbal communication skills. Easily adapt to changing activities and workloads; work positively and cooperatively with others. Bilingual English/Spanish preferred; bilingual is defined as fluency in reading, writing and speaking both languages. Work schedule is August through June. Hourly rate depends on experience. Applicants must submit a completed application and a resume with references to St. Joseph Catholic Church, Attn: Pastoral Assistant for Administration, 6600 Highland Dr., Vancouver, WA 98661 or emailed to hr@stjoevan.org . Application materials and a full job description are available at https://stjoevan.org/jobs Position is open until filled.